Sidac obtains the prestigious award for the 4th year in a row. 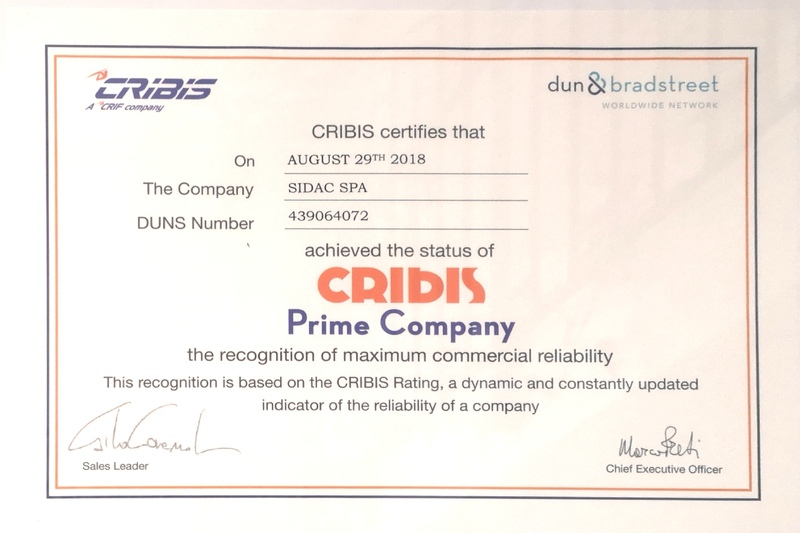 Once again this year CRIBIS D&B, a leading company in the business information sector, has given our company the recognition of Maximum Commercial Reliability. This important certificate, obtained also in the previous three years, gives Sidac great prestige as it is issued not only in light of the excellent balance sheet data but also based on the analysis of other non-accounting data, one on top of the maximum punctuality in payments to our suppliers; indicators that allow our company to receive the highest possible rating.